Dr Salome Gurgenidze (MD, Georgia), an HPCSA (Health Professional Council of South Africa) registered General Practitioner with a special interest in Aesthetic Medicine, is renowned for her ability to combine her medical knowledge with the practical experience she has built up over the years in her capacity as both a nurse and doctor. Dr Gurgenidze is a medical doctor who has experience in various fields of medicine. After studying to become a medical doctor in Georgia, she came to South Africa in 1994 to escape political turmoil in her home country. She then went on to convert her qualification to register as a medical doctor in South Africa, while working as a registered nurse at Garden City Clinic and Randburg Medicross Clinic. After successfully passing her Medical Board examinations, she later became an intern and then medical officer at Johannesburg General Hospital from 2004-2008, gaining experience in the areas of general surgery and internal medicine; as well as trauma, anesthetics, endocrinology, amongst other disciplines. Following the examinations for foreign candidates for full registration at WITS medical school, Dr Gurgenidze practiced as a GP in private practice. It was her passion for the Arts that made the field of medical aesthetics so attractive for Dr Gurgenidze. Since 2008, she has completed a number of training programs and diplomas in aesthetic medicine locally and internationally. She has gained extensive experience performing medical aesthetic procedures. 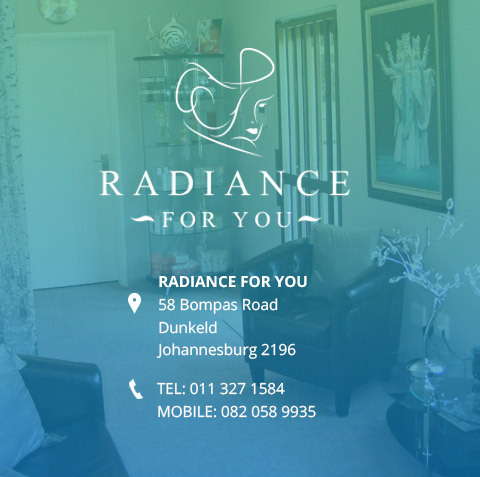 Dr Gurgenzide trains South African doctors in aesthetic medicine procedures and has published numerous editorials for beauty and health magazines including Shape, Women and Home, and Longevity. Dr Gurgenidze presents at and attends South African and International congresses and training courses to keep up with the latest trends in the field. She is a member of MPS; AAMSSA and AAAM. Dr Gurgenidze is married with two children. 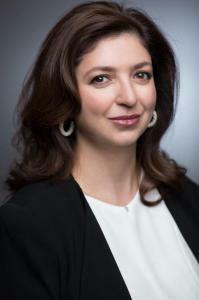 Her special interest in psychology, the neurophysiology of facial expressions and behavioral science, helps Dr Gurgenidze work with her patients to achieve a fresh, natural look that enhances their natural beauty without losing their individuality and charm. Dr Gurgenidze offers a holistic approach to aesthetic medicine that focuses on bringing out a person’s authentic character and inner radiance. In her practice she combines cosmeceuticals; chemical peels; injectable treatments (including Botulinum toxin, dermal fillers, skin boosters, mesotherapy) with light/laser therapy to achieve the best results. Charismatic smile – a sign of individuality and charm helps one achieve success in their private life and business. Harmony of facial features – is facial proportion that embellishes beauty. Accurate jaw line – is the absence of the volume loss for good skin texture. Radiant skin – demonstrates eternal youthfulness. Muscle movement – with injectable treatment one can control expression of the face to send out a positive message to the world. 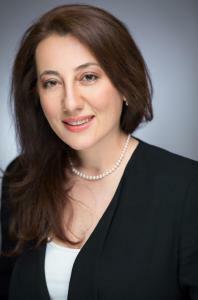 Dr. Natela Rekhviashvili has been involved in the field of Medical Aesthetics for many years. Her education and experience as a medical scientist enable her to understand the science behind the use of the newest non-invasive laser/light and radio frequency therapies for skin rejuvenation and problem skins. Natela developed her interest in anti-aging and professional skin care during her studies in medical college in her home country – Republic of Georgia. After graduating from medical college with a diploma in nursing in 1987 she continued her education at Tbilisi State University (Georgia) where she obtained her Honors degree in Biological/Medical science. In November 1995 Natela came to South Africa and build her career at the National Health Laboratory Service (NHLS) and the University of the Witwatersrand (WITS). Natela is a registered Medical Scientist with Health Professionals Council of South Africa (HPCSA). For several years she was involved in genetic diagnostics and research of cancer and completed a Master of Science in Medicine (MSc Med). After furthering her studies in human genetics she completed her PhD in molecular diagnostics of HIV-1 in 2007. During her successful career in Medical Science Natela lectured to Health Science and medical students, medical registrars and biomedical engineering students at WITS. She has regularly attended and presented at science conferences, published a number of articles in internationally accredited journals, a text book chapter for medical students and patented two methods for molecular diagnostics of HIV-1. The science of skin care and anti-aging has long fascinated Natela and the establishment of Radiance for you in 2007 was the realisation of her dream. For Natela, it was an opportunity to combine the skills and knowledge of science and technology with the creativity of aesthetic medicine. She finds it very rewarding to help people look their best! Natela’s special interest is in non- invasive laser, light and radio frequency treatments for skin and body. She believes in the importance of regular skin treatments from a younger age in order to improve and maintain younger and more radiant looking skin for many years. She is passionate about treatments for cellulite, body contouring and skin tightening. The female body goes through a number of transformations with age – after puberty, pregnancy and menopause! Natela does her best in promoting public awareness in modern technologies that bring us the opportunity for maintaining good bodies and feeling confident in our bikinis at any age! Natela has trained in laser and radio frequency treatments locally and internationally. She completed a training Laser course in the USA organized by the American Society for Laser Medicine and Surgery (ASLMS). She is a member of the ASLMS since 2011. As part of continuous education in the field of laser and light therapy she participates in training courses provided by international speakers. To expand her knowledge in professional skincare she is currently completing a health and skincare therapy course at Camelot International School in Johannesburg. Natela regularly attends national and international conferences in Medical Aesthetics. She presented at local Medical Aesthetic Conventions on the use of non- invasive combined optical and radio frequency technology in aesthetic medicine.